The Public Library of Science (PLOS) is a wonderful project that brings high-quality scientific research to anyone with an Internet connection. On this site, visitors can explore three different drop-down menus: Staff Blogs, Blogs Network, and Community. 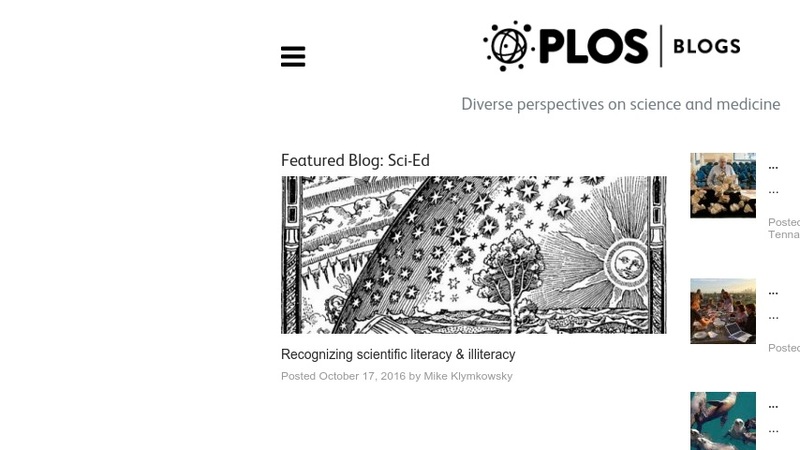 Staff Blogs offer readers a variety of chatty and interesting internal blogs, such as PLOS Biologue, along with several dozen independent blogs, such as Mind the Brain. Next up, in Blogs Network, readers will find a plethora of blogs written or commissioned by members of the PLOS Journals editorial staff with topics ranging from DNA science to paleontology. Thereâs a little bit of everything here, and savvy visitors might opt for helpful word tags to focus in on posts of note.